At LPL Financial located at Cyprus Credit Union, our financial experts have more than 20 years of experience working with both individuals and businesses. Our goal is to provide high quality service and form lasting relationships with our clients. We know that financial planning can be intimidating, that’s why we pride ourselves on being able to provide clear, easily understood explanations of our financial products and services so that our clients always feel empowered. Our team of experts will create a customized financial plan just for you and then walk you through the step-by-step process to help you reach your financial goals and feel confident in your decisions. If you are interested in meeting with one of our advisors to start your financial planning, you can call (801) 260-7600 ext. 5802. Talk with one of our Financial Services Advisors. Securities and advisory services are offered through LPL Financial (LPL), a registered investment advisor and broker-dealer (member FINRA/SIPC). Insurance products are offered through LPL or its licensed affiliates. Cyprus Credit Union is not registered as a broker-dealer or investment advisor. Registered representatives of LPL offer products and services and may also be employees of Cyprus Credit Union. These products and services are being offered through LPL or its affiliates, which are separate entities from, and not affiliates of Cyprus Credit Union. While you may be able to handle most of your finances on your own, there may be special circumstances where you find yourself in need of some extra help. Here are some financial events where you may need the help of a financial professional. 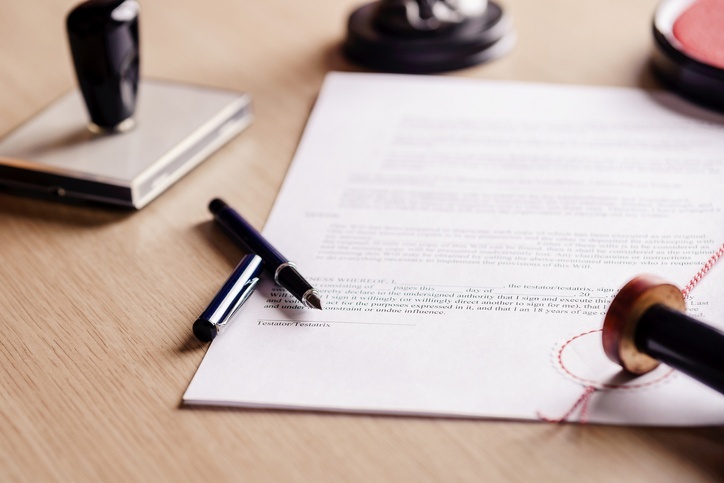 According to a study conducted by Care.com, only 42% of adults have estate planning documents, such as will or living trust. Although this is probably one of the least fun financial tasks out there, it may be one of the most important. Here are some steps to consider when beginning your estate planning. Retirement is right around corner and while there are many things to look forward to in the future, there are several financial tasks that still need your attention before you set off on your next adventure. Here are some financial tips to help you prepare for your best retirement.